- I see... a fantastic collection of enamel pins in your future! Starting with this little gem right here. Ok, so maybe fortune telling isn't my forte. That is a pretty easy prediction to make, after all. 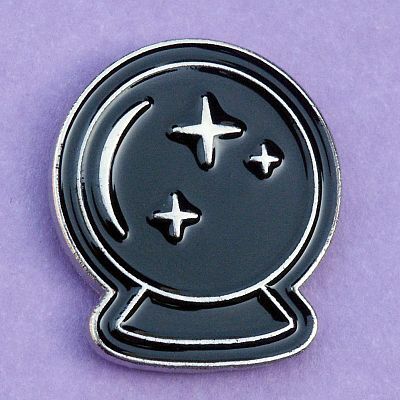 This enamel crystal ball pin is sure to appeal to your mystic, occult side. It measures 1" tall, and has a silver-tone finish. Comes with a butterfly clutch pin back to hold it securely in place. 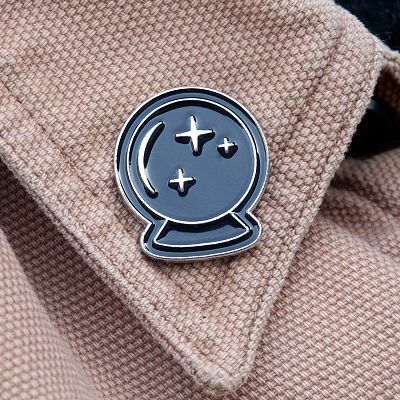 Cute and casual, our enamel pins are just right for wearing on jackets, lanyards, hats, purses, backpacks. or just about anywhere. 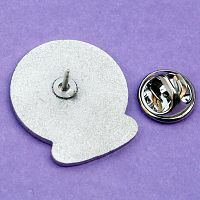 Although they are often called "lapel pins", don't let that stop you from wearing it whenever and however you like. Find the perfect combo to express your unique personality with pizzazz. 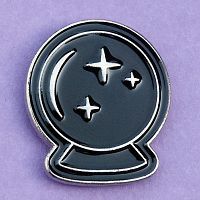 Do you have any other questions about our Crystal Ball Enamel Pin?